As a mom, I know how strong the struggle with identity can be. Knowing who I am in Christ is what helps me to thrive and can help you to thrive as well. I have found that when I am stuck in life and feeling like I am living in a constant state of survival mode, many times it is because I am losing sight of my worth in God. I start to look to my kids for my identity or my marriage or my house. All of these things are wonderful blessings but they are not where my worth comes from. We need to be seeking our identity in Christ alone. Not in our careers, our relationships, or anything else. The best way to really build into my heart who I am in Christ is to read the biblical truths. 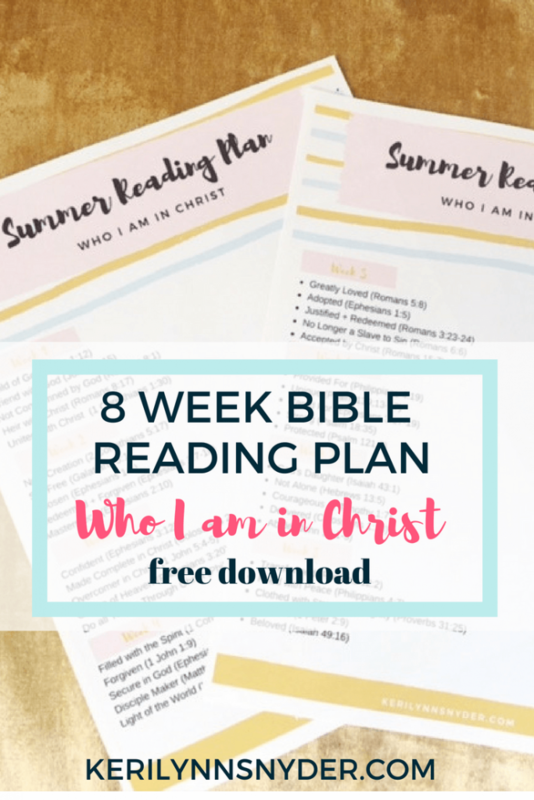 This is why I decided to put together a summer reading plan focused on Who I am in Christ. Every passage of scripture will help confirm your identity in Him. The reading plan is 8 weeks long with verses to read 5 days a week. This leaves the weekends to be a time of reflection and prayer. It also leaves some room for grace. Since I know summer can be a more laid back season, each day just contains a verse or two. You can pair this with another study you are doing or have this be your main summer study. Moms, I know you are busy. I know it can be hard to carve out the time, but trust me, you are worth it! Take time over these next 8 weeks to read these verses and let your mind be filled with truth about who you are! Get your free reading plan here. 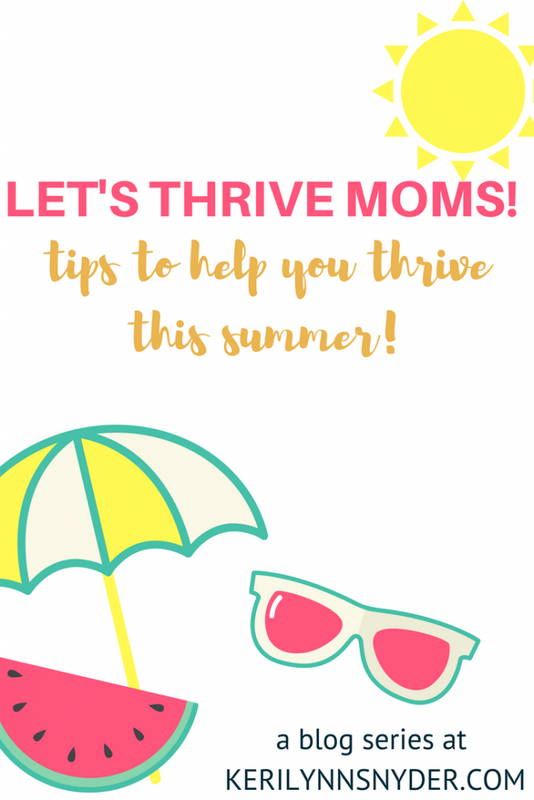 This is the second post in the Let’s Thrive Series- tips to help moms thrive in the summer! 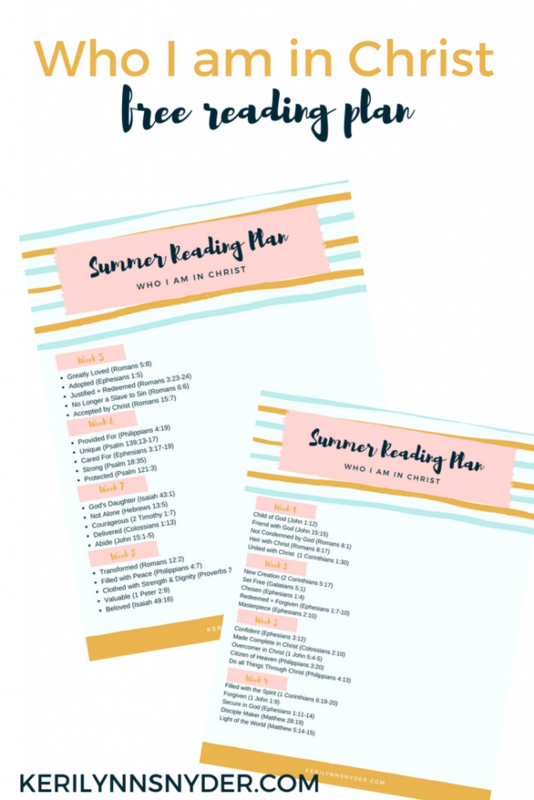 Last week I shared how to thrive at home and talked about how to set up a summer routine. Next week we will be talking about tips for your kids to thrive this summer. Make sure to follow along on Instagram as I will be sharing more tips here and there!